Make sure you have text messaging enabled in your account in order to use this feature. 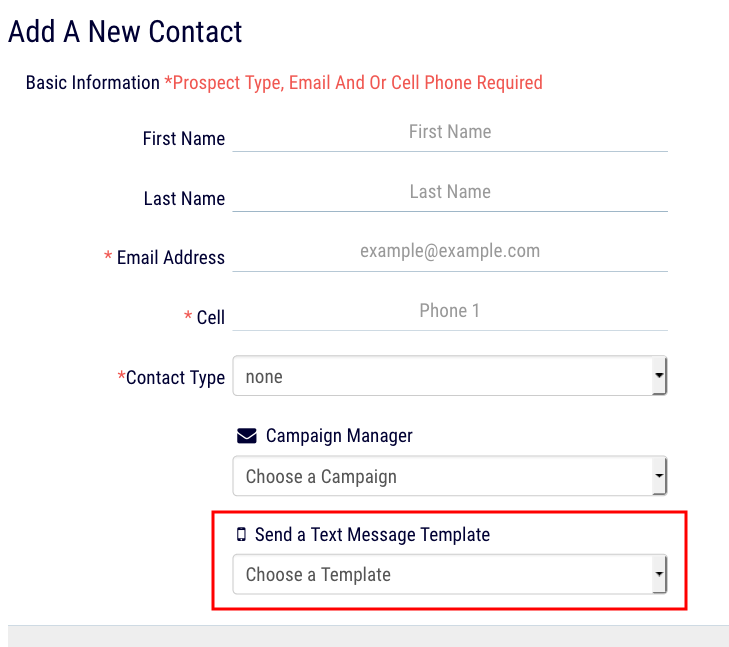 Before you can send a text to a lead you need to make sure you have their cell phone number on file in their lead profile. There are 2 ways to send text messages to your leads. Option #1 is to add them to a campaign via the campaign manager or you can send them a personal text. Option #1 – Add your lead to a campagin that sends text messages. Please note this option is only available If your account administrator has created campaigns with texts. Step#2 – Pick a campaign from the dropdown and click the “Add” button then confirm your selection. Once added you will see the name of the campaign in the “Currently Subscribed to” table. Option #2 – Send your own personal text message to a lead. Step#2 – Type your text message in the field. Click the “Face” icon to add emojis to your text message. Click the “File” icon if you want to add a picture or send a link to a file. Once clicked this will load our file managment tool giving you the ability to upload files to your account to use. Click the “Tag” icon to add a merge tag to your text. Merge tags are used to auto-populate your text message with personal information about the lead. Merge tags are used if you want to create your own text message templates to use over and over again. More to come on that feature later. Step #3 – Send your text. Once your text message is ready click the “Paper Airplane” icon to send your text. Text Templates. 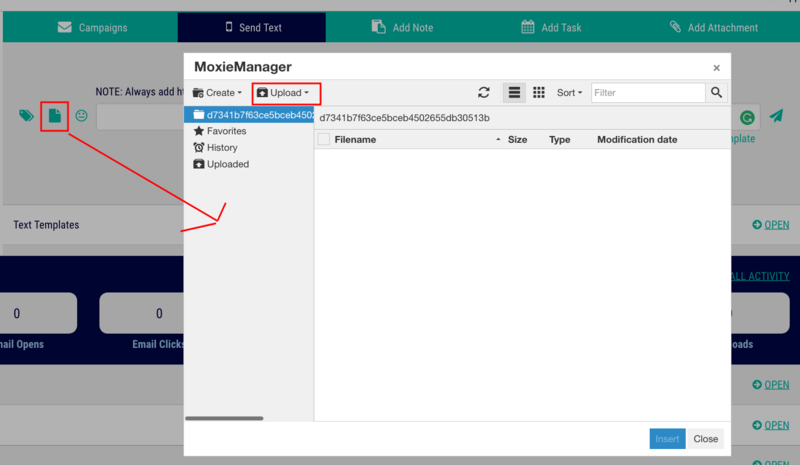 This feature allows you to take any text you have sent in the past or you create and save it as a template to use in the future. You can create a template even if you don’t send the text to the lead at that time.